Soylent is food, pure and simple. The primary ingredients are rice and oat flour with added plant based oils, vitamins and minerals. There are no preservatives, added flavoring or artificial chemical ingredients. If you want to think of it another way, it’s basically a porridge or gruel. Soylent is also vegan as they use no animal products. It is however not gluten free but they claim they are working on a version for the future. Eating nothing but soylent will provide a full days calories (2000), protein, fat, carbohydrates and vitamins that is designed around the United States FDA Daily Recommended Values. Is Soylent for dieting? Isn’t this just like slimfast or other meal replacements or supplement shakes like ensure? Soylent is not designed or marketed as a diet and it’s not designed or markets as a meal supplement. Diet shakes, like slimfast, are designed to fill your stomach while limiting caloric intake to help you lose weight while supplements like ensure are designed as high calorie boosters to aid those that are not getting enough in order to maintain or gain weight. In both cases these shakes are not designed to provide a balanced nutritional intake and cannot be your sole source of food. Soylent is designed to be nutritionally complete. That being said, Soylent is a great option for those looking to diet. Since Soylent is designed to give you a fixed 2000 calories you can easily adjust the amount you consume to aid in weight loss. I’ve heard your body isn’t designed to live on a liquid diet. Isn’t this bad for you? While soylent is prepared and consumed in liquid form, it isn’t really accurate to call this a liquid diet. All food that you eat ends up as liquid once it’s chewed and is digested in the stomach. Soylent is just food that doesn’t require chewing. Don’t worry, I know what you’re really thinking about and it’s nothing to be ashamed of asking about. No drinking soylent will not affect you negatively in the bathroom. Can you eat other food while on Soylent? Yes, to state it again Soylent is just plain regular food. You can live on 100% soylent or eat it only part of the time. 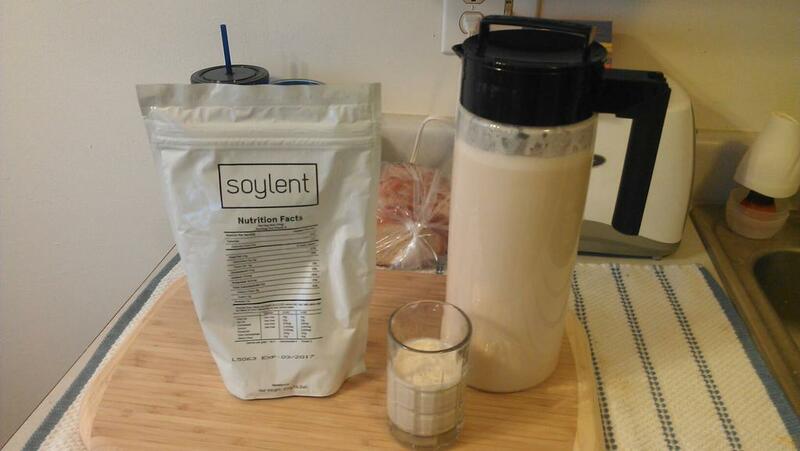 For myself I am using Soylent mostly as my meal choice for breakfast and lunch during work days. Occasionally, I will eat soylent for dinners or on weekends when I’m feeling lazy and do not wish to make something else. Why does it taste like? How is the texture? Soylent is designed to have a neutral flavor. As a result the descriptions of taste and texture seem to vary wildly. Personally, I find the taste and texture to remind me very closely to a thin unsweetened pancake or savory crepe batter. Made fresh the texture is very gritty and can be a bit hard to drink. I find it works best to make up a batch and let it set for a few hours. This gives the rice and oat flour time to hydrate and better dissolve. I suggest making a habit of mixing up your pitcher of soylent before going to bed. It takes less than 10 minutes to prepare and place in your fridge for consuming the next day. Soylent comes in 1 day serving bags that are designed to be mixed in a 2 litter pitcher with water. All you need is water and the powdered Soylent. I have found that adding 2 tablespoons of PB2 (a powered peanut butter mix) and 3 tablespoons of sugar free chocolate nesquik mix makes for a very nice tasting drink. How much does it cost? Is it more expensive than regular food? The cheapest option is to sign up for a recurring monthly order. It provides 4 weeks of food for $255. That will give you 3 meals every day for 28 days at a cost of roughly $3 a meal. Personally, I think that’s a very reasonable cost but that is subjective to people. Aren’t you a foodie? Why would you want to eat something so boring and plain? Yes I’m a foodie but I’m not a glutton and I’m also a realist. Food for all we make it out to be is just fuel for our bodies to run. I enjoy cooking, I enjoy eating with family/friends, and I sure do enjoy going out to eat wonderful delicious dishes and I want to continue to do that. However, a majority of the meals I eat are not for fun and enjoyment but to fill the tank and keep my going. Every work day my stomach starts rumbling around noon and I need to find something to eat. I have many choices for what to do but all of them have an associated cost of time, money and quality of nutrition. 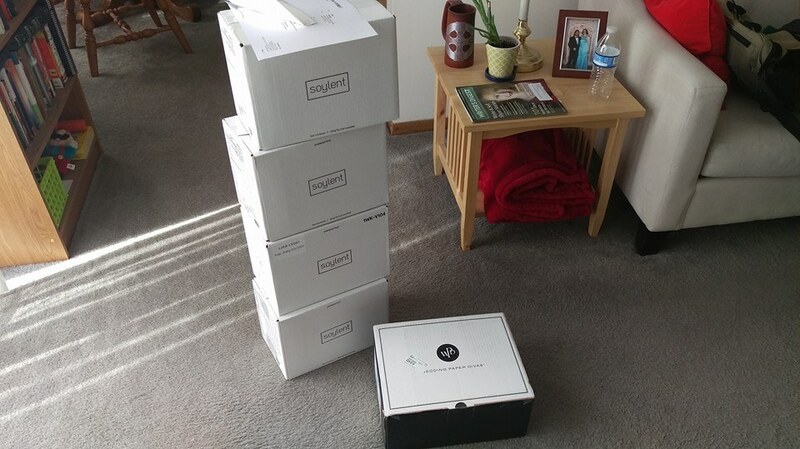 Generally speaking, Soylent costs me 5 minutes to drink, $3 a meal and is very healthy.